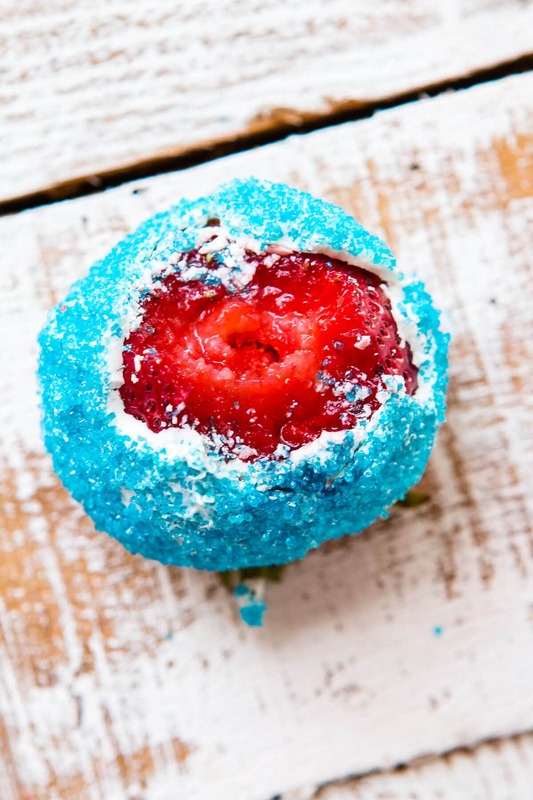 Looking for a healthier 4th of July dessert recipe? 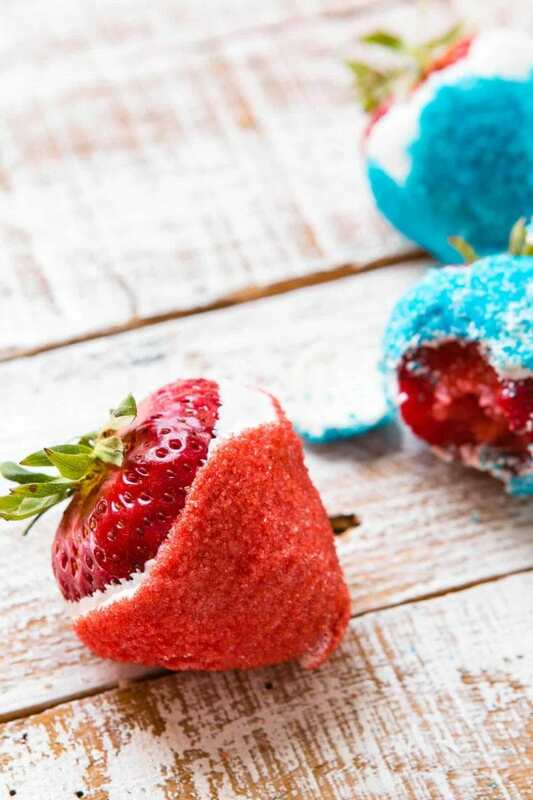 These red white and blue strawberries are not only healthier than a big pie, but they only take 3 ingredients! When I was in high school we had an annual 4th of July party at my parents’ friend’s home. One of the guests brought these strawberries and I instantly fell in love. 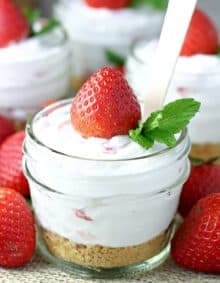 They are so easy to make but there is a secret to get the white chocolate dipped strawberries to look nice. Dipping white chocolate strawberries is very easy, but make sure you’ve washed the strawberries long before dipping them so that no moisture remains on the berries. If moisture is on the berries the white chocolate wont stick as well. 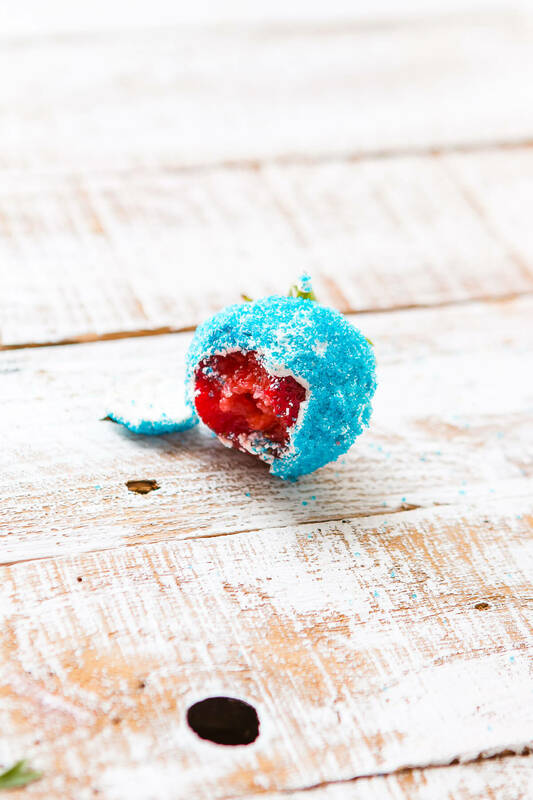 Make sure you also let the excess drip off of the berries as much as you can and hold them up in your hand for 3 seconds so that the white chocolate can be a little more set when you roll it in the sprinkles. If you move too quickly between the chocolate and the sprinkles, the chocolate will smoosh everywhere and wont be as pretty. Doesn’t that juicy berry look delicious?! Tell me you don’t want to dig in as well! We’ve found that the sprinkles the look the best and don’t bleed as bad are these Red Wilton Sprinkles, and the blue ones as well. You could also stick the berries on cute wooden skewers or even stand the skewers in little pots of beans, but I prefer to use a deviled egg tray. The berries fit right in and it holds them in place without the berries bumping around and hitting each other. Wash the strawberries and let them dry thoroughly. Melt the chocolates in a bowl for 30 second increments, stirring between until smooth. Dip a strawberry in the chocolate and then then shake gently to remove any excess. Turn the berry upside down and let sit for 3 seconds with you holding it up. 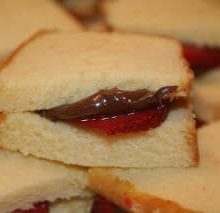 Roll in the sprinkles and gently place on a platter to firm up. 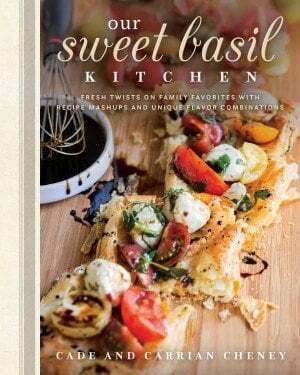 Serve immediately or within 3 hours. 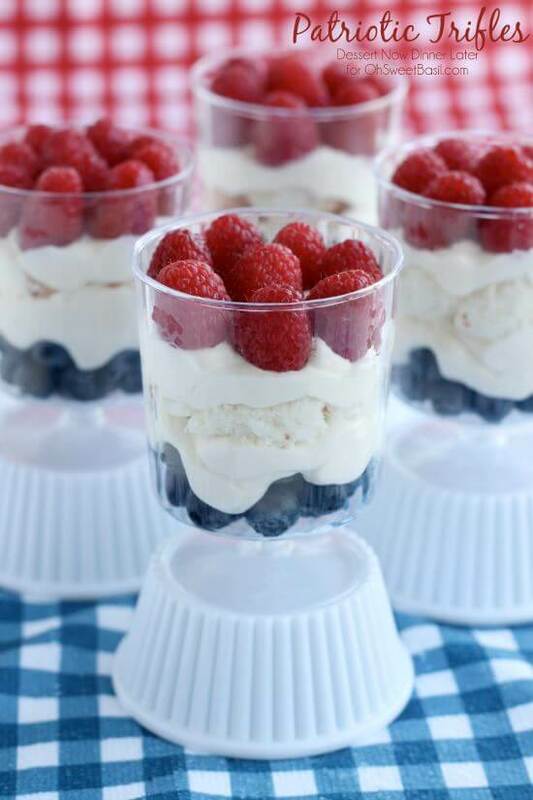 Layer your favorite ingredients into a fresh and cute patriotic trifle. 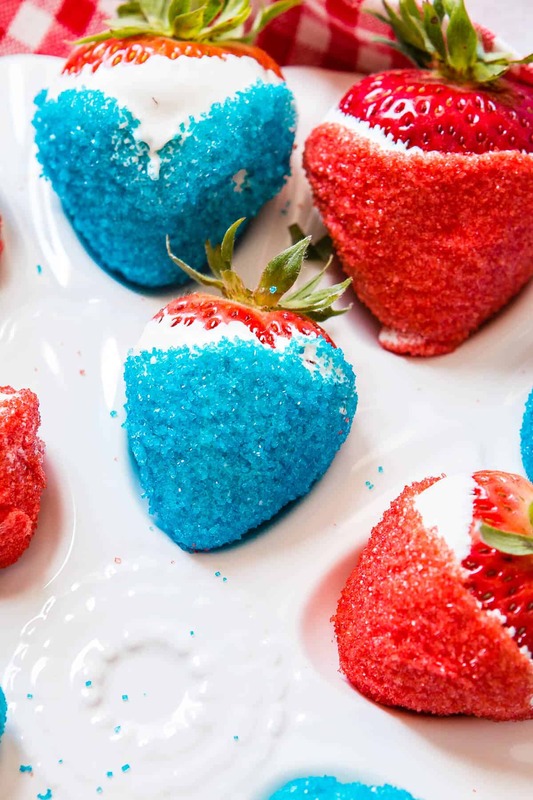 I missed these for the 4th, but no reason not to make them anyway, love how fun these are and not too much sugar, mostly just natural, and 3 ingredients, wow, thank you for this very creative recipe! 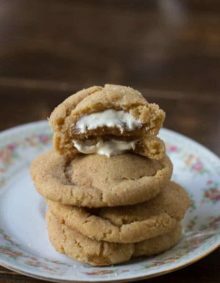 There are so dang good too! You could change up the colors and make them for any occasion! Great and simple idea for Fourth of July. 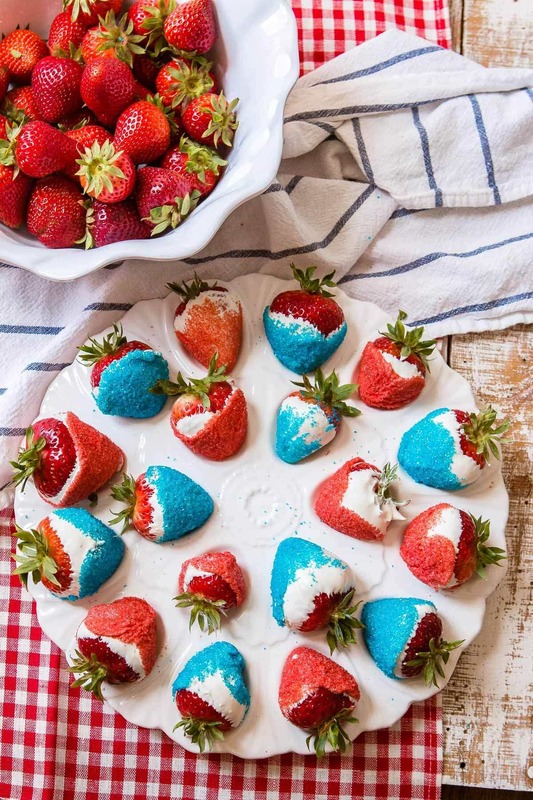 Pingback: Red White and Blue Strawberries - What's news today?